After being kicked out of the altar boys and the Boy Scouts in his parish, the parents of this Alaska native had their doubts if their son would ever be a priest. 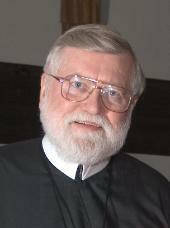 Ordained as a Redemptorist priest in 1963, Fr. Bill’s ministry began on the Kanai Peninsula in Alaska where he ate moose for the first time. His duties took him to Oakland, California where he started a charismatic center for teaching and healing. At one point, Fr. Bill was considering leaving the priesthood unless something radically changed his life. my priesthood,” states Fr. Bob. And just in time, for other events would challenge his priesthood as when a woman proposed marriage to him. “As the Father loves me, so I also love you”) and Paul’s letter to the Ephesians.